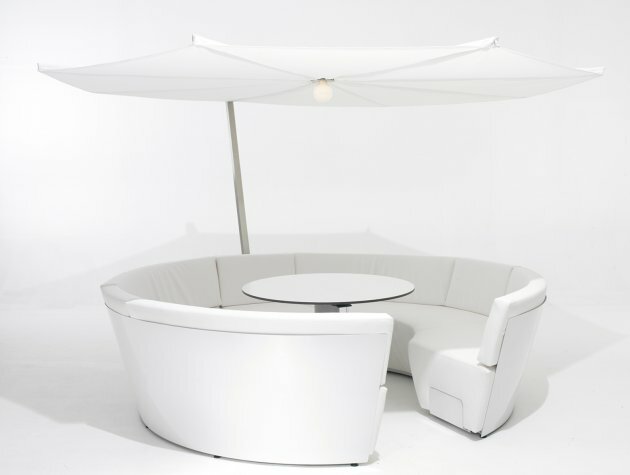 Belgian manufacturer Extremis launched their new outdoor seating concept ‘Kosmos’ at the recently held Interieur ’08 show in Kortrijk, Belgium. 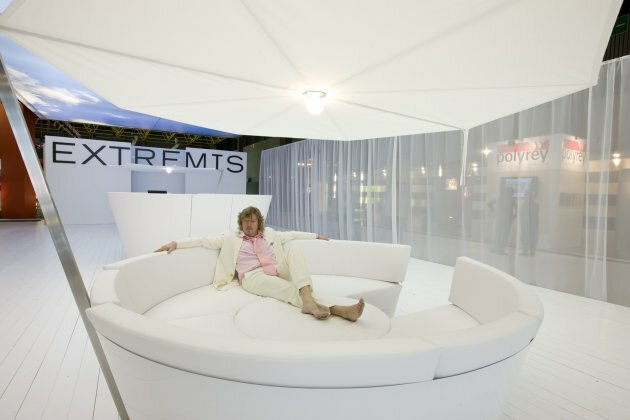 Kosmos was designed by Dirk Wynants, who is also the founder of Extremis. 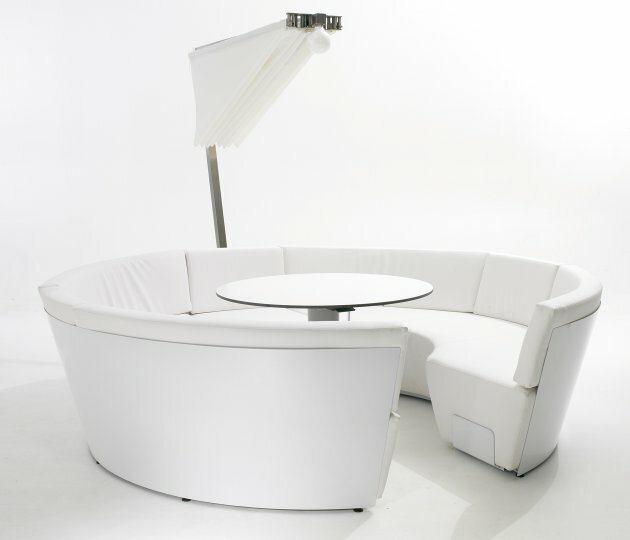 Dirk Wynants’ latest creation called Kosmos, has a round shape in which you can sit or relax, with the added bonus of a table. 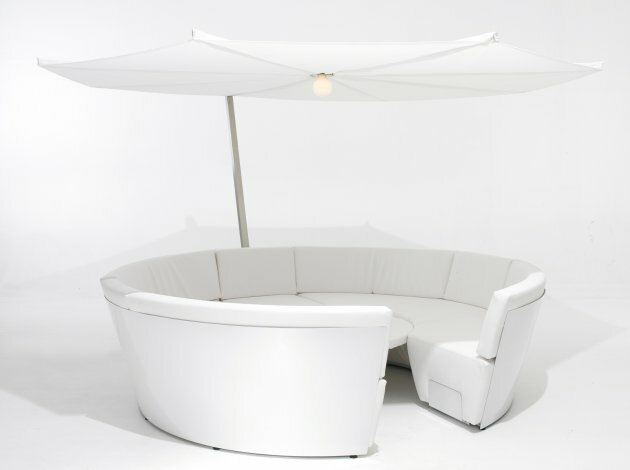 The seating comfort is guaranteed by the ‘dry feel’ polyurethane foam cushions with white leatherette upholstery. 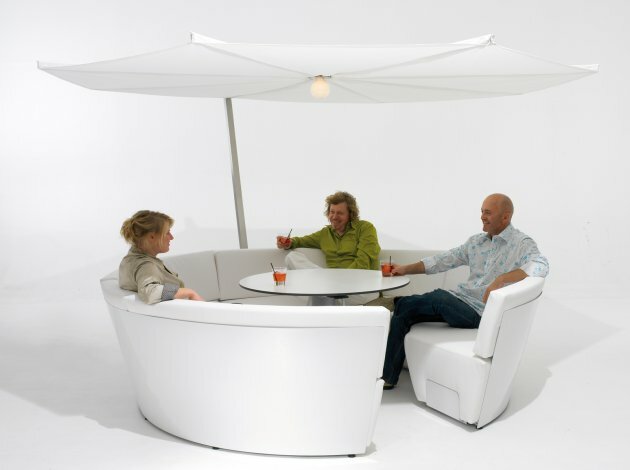 The table can furthermore be lowered to seat height; at its lowest position, with an extra cushion, it offers a completely flat surface transforming this new product into a giant lounger. 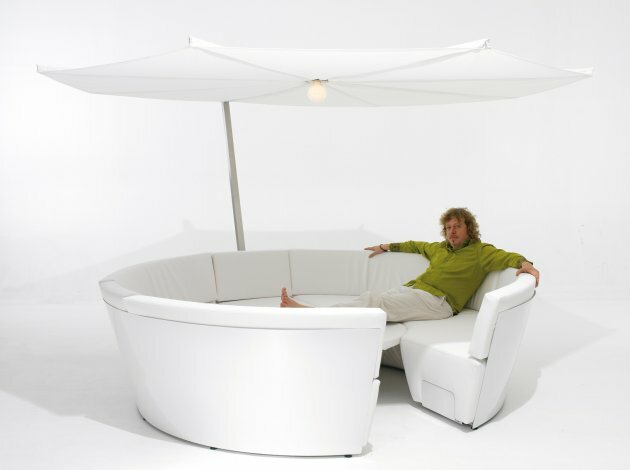 The transformation clearly refers to the method used for transforming a caravan’s seating area into a comfortable bed. So after a delicious lunch with friends you can all have a little nap together without having to leave. 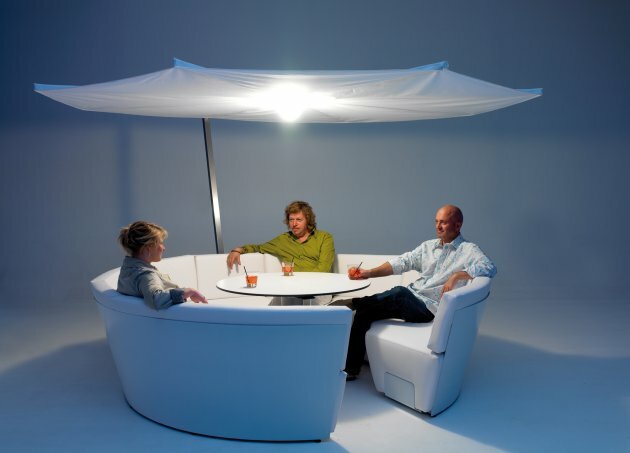 You can relax in exactly the same spot where you have just enjoyed your meal. Two functions combined into one object, that’s so characteristic of Dirk Wynants.